After a solid outing yesterday, Evolve is back for night two of their WrestleMania weekend events. Zack Sabre Jr. came out to start the show and wanted Michael Elgin now because Elgin slapped him after the main event last night. It’s non-title because Sabre said Elgin hasn’t earned it. Non-Title Match: Michael Elgin vs. Evolve Champion Zack Sabre Jr.
After the match, Lio Rush came out and introduced himself to Zack Sabre Jr. He wanted their upcoming match to be for the Evolve Title. Post-match, Hathaway checked on Thatcher. 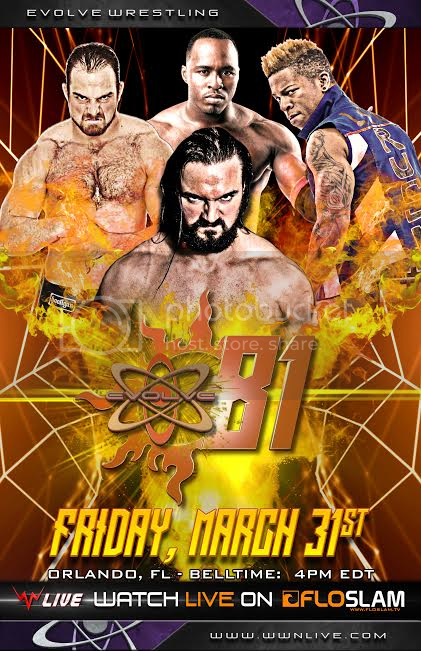 Thatcher said if he’s not in the WWN Title match, he won’t be his client anymore. Tracy again tried to avoid giving a Tag Team Title to Jaka and Chris Dickinson, but Yehi stepped in and accepted. Larry Dallas showed up again to massive heat to announce the scoop that the match will happen in Queens on April 26th I believe. Catch Point scared them off and Matt Riddle came in through the crowd for the main event. Overall: 8/10. It seems common now, but Evolve’s second show of the weekend bested their first. ACH/Thatcher was the only thing I’d consider bad. Though Sabre/Elgin disappointed, everything else clicked. The six man tag was fun and Galloway/Rush was rather great. Allin/Page was the war it needed to be, while Yehi/Riddle ruled because they’re awesome. Lee/Dijak was the show stealer and, up until the NXT Tag Team Title match, was the best thing this weekend. Easy watch.